Essex, the concrete-sculpted haunt of Essex Man, the fog-draped marshland setting of Great Expectations, and home to the anarchist punk collective Crass, is defiantly the base of The Owl Service, who have released a slow trickle of albums and EPs over the years since their debut "Wake the Vaulted Echo" in 2006. Centred round the guiding hand of multi-instrumentalist Steven Collins, The Owl Service also makes use of a number of different female voices, on this album Diana Collier, Jo Lepine and Nancy Wallace (on unspecified tracks) and a further three guest vocalists. Taking its title from Alan Garner's eponymous novel, and with never a fiddle, whistle or banjo in sight, "His Pride. No Spear. No Friend." suggests an immersion in tradition through intelligent use of sources and restraint in The Owl Service's use of a modern sound palette. As you expect in these days when you can access the entire recorded output of the 20th century via a mobile phone, though, The Owl Service's influences are not limited to the eastern seaboard of southern England, nor even its hinterland. The album clearly draws from a number of essentially modern sources, ranging from the opening title of Robin Hardie's "Wickerman" in "The Widow's Lament", through Tim Hart and Maddy Prior ("The False Knight") to Martin Carthy ("Willie's Lady"). This secondary account of British folk music is accentuated by Collins's use of electric instrumentation and "dry" drums, albeit in understated form, throughout. In the notes to the album, Collins is keen to point out that this is not a folk album, saying "I started trying to play folk songs but with a modern, minimal rock approach and it felt just right". There are certainly hints of bands like Pavement in the sound, but there is no dissonance in this - it is a perfect environment to draw out the story-telling within these songs, some of them many centuries old and others - originally recorded by Midwinter, Caedmon and Anne Briggs - much more recent. 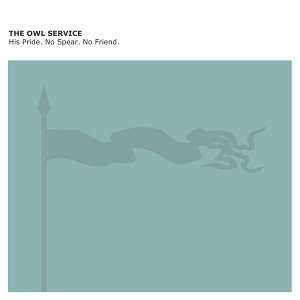 The Owl Service do seek to mask the distinction, though - aside from the relative sophistication of the lyrics, the modern songs are difficult to tease apart from the traditional within the context of the instrumental approach. Michelle Bappoo's take on the anti-Semitic broadsheet "Hugh of Lincoln", layered in echoes, seems as up to date in style as Briggs' "Living By The Water", originally released in 1971 (perhaps this IS becoming ancient history! ), whilst Laura Hulse Davis' reading of "Geordie" could have been released by Vashti Bunyan at any time between 1965 and the present day. There are no stand-out tracks amongst the nine on offer - all are of consistently high quality, though "Sea Song" has made me determined to acquaint myself with Caedmon. The overall product is very pleasing - a dip into a tradition and its successors which shows just how capable of reinterpretation the British folk canon is, without relying on the tried and tested formulae of the (late) twentieth century. There are signs this may be the last from The Owl Service - that would be a shame, but if so it's another great final release in what has been a sad year for them so far.